In the 21st in a series of posts on 2016 books entered for The Story Prize, Ronna Wineberg, author of Nine Facts That Can Change Your Life (Serving House Books), shares what she's learned. 1. Write lots of stories. Enjoy the process.When I started to write, my goal was to write a story that worked. This can take years. It did for me. Each story idea felt like a gift, a journey into the unknown. 2. Perfect each story. Write draft after draft. Work on a story for as long as needed. You may have to start over. This can be difficult, challenging work. Finally, when a story seems ready, submit it to a literary journal. Brace yourself for rejection. Submit the story again. Writer friends told me you have to be tenacious; rejection is part of the writing process. “Don’t be discouraged,” they said. But I was shocked by all the rejection. “A Celebration of the Life of the Reverend Canon Edward Henry Jamison,” a story in Nine Facts That Can Change Your Life, was rejected by several literary journals. Then I submitted it to Moment Magazine short fiction contest. The story was chosen as a finalist. Finally, The Laurel Review published it. 3. When you’ve written stories that please you and have published some, begin to compile the collection. Read the stories. Shuffle them. Choose those that fit together. Decide which give you variety and reflect the book’s themes. The themes may emerge as you read the work. The selection of stories may change over time. On both collections, I decided which stories I loved, which needed revision, and which were too similar to others I’d included. I ended up leaving out some favorites. 4. Write more stories. Your collection may go through many drafts. Mine did. When I wrote a new story I considered strong, I inserted it into the manuscript and removed a weaker story. 5. Choose a title and epigraph. You may have already done this. The book’s title may change as the selection of stories changes and depending on what the publisher or editor suggests. The epigraph may change, too. 6. Arrange the stories. The arrangement of stories isn’t prescriptive. A reader participates in a collection and can choose which story to read when. Even so, the arrangement creates a flow for the book. 7. Create momentum. Consider Leavitt’s words. 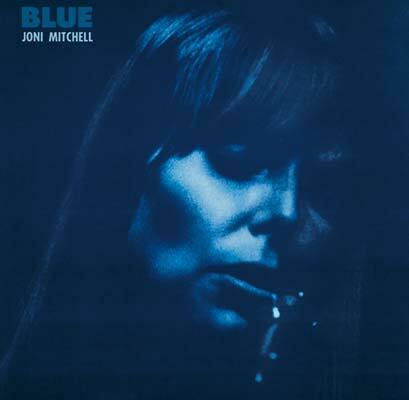 He wrote that record albums helped him decide on the order: “…particularly Joni Mitchell’s—that I turned to find a model for how to arrange nine or ten seemingly unrelated pieces of prose into a coherent and meaningful whole.” Albums, CDs, create a momentum. A book is an organic whole, greater than the individual pieces. 8. Make sure the details in each story are unique. The unconscious has a will of its own. Read the stories again in the order you’ve placed them. As I read the manuscript for Nine Facts That Can Change Your Life I was surprised to find I’d repeated some words, images, names, and descriptions from story to story. I’d described many buildings as “red brick.” I had used the word “terrible” eighteen times. I found replacements. 9. When you’re satisfied with the manuscript, look for a publisher. Finding a publisher can take a long time. Most agents and large publishing companies aren’t interested in collections. Small presses and contests can be the best route. Second Language, was rejected by publishers. Then I submitted it to a contest and, to my surprise, it won. Part of the prize was publication. A small press published my second collection. Both publishers took great care with the books. After the manuscript is accepted, you may have to revise it again, depending on what the publisher or editor requests and how you feel about the work. You may even revise stories previously published in literary journals. I had considered published stories finished, but I found revision at this stage improved them. I added scenes and dialogue, changed endings. Finally, you’ll participate in the many steps involved in preparing a book: working with the editor, writing acknowledgements, a dedication, gathering blurbs, incorporating copy edits, doing proofing and promotion. Each step took longer than I’d imagined. 10. Celebrate. After the book is published, a reader may tell you the stories seem as if they were effortlessly connected, and you’ll be thrilled. You’ll say, “thank you,” as I did. You won’t describe the details of the focused, sometimes hard, sometimes exhilarating work. You will have forgotten most of it. Forgotten the joys, the doubt, time and labor, the rejections, revisions, the struggles, changing of names or descriptions or words, the deadlines, decisions, commas inserted, last-minute typos corrected, the glitches, all the glue you felt you used as you shuffled the stories, trying to fasten them together into a logical whole. These things are in the past. You are the author of a beautiful, published book. A collection of stories. You will be grateful, as I am.